Inspired by friends and family loving on all of the cute things I bought for my wedding and asking for the links to buy, I’ve decided to share a master list of all my bridal favorite finds. 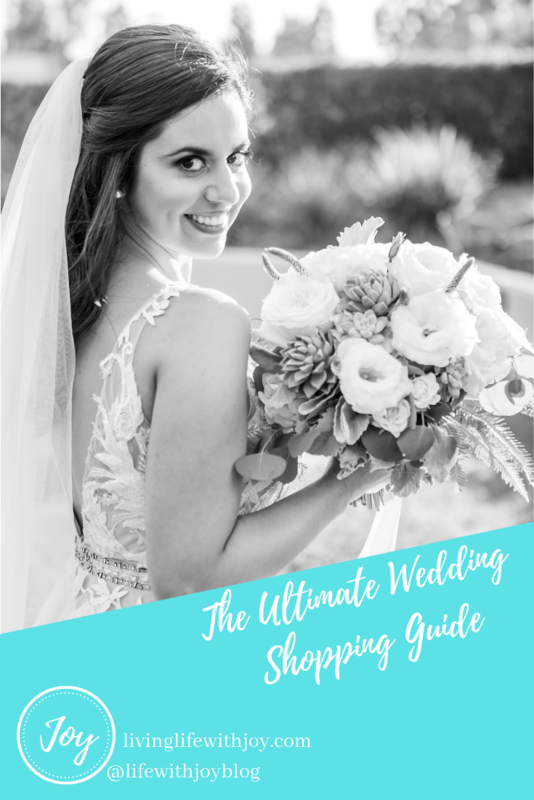 Whether you’re newly engaged, about to get married, or are looking for great gift ideas for a friend or family member, this post is about all things bridal! 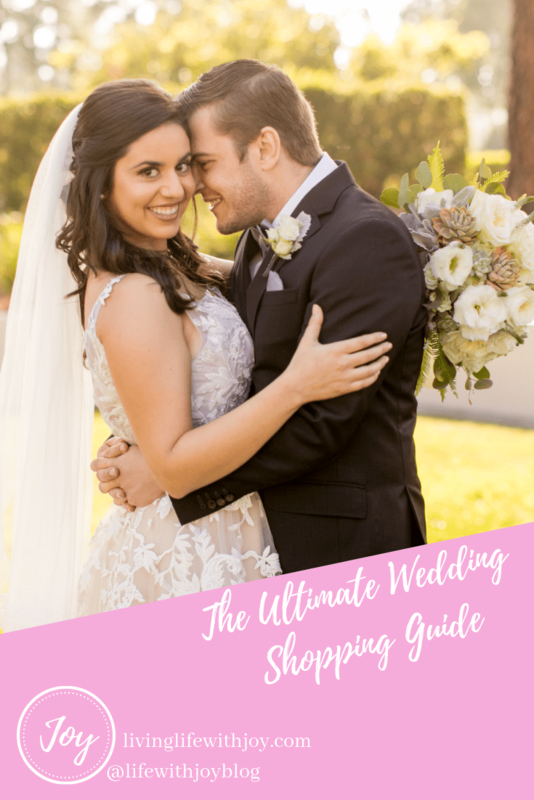 In another blog post I’ll include a list of my wedding vendor recommendations along with my go-to list of things to put on your registry, so be on the lookout for that. If you’ve followed my blog you’ll know that I was recently married in November and you may have caught on that I love shopping and finding a good deal! Weddings generally involve multiple events leading up to the big day and there’s tons of fun things to buy from decor to gifts, to favors and more. There’s so many fantastic items available on today’s market that you can easily fulfill tons of your wedding needs by shopping online. Whether you’re the bride, in the bridal party, or just looking for fun gift ideas this list is here to inspire you. I purchased almost everything on Amazon (including my veil!!) and a few personalized things on Etsy. Disclosure: This post contains affiliate links and your support is much appreciated! See full disclosure here. 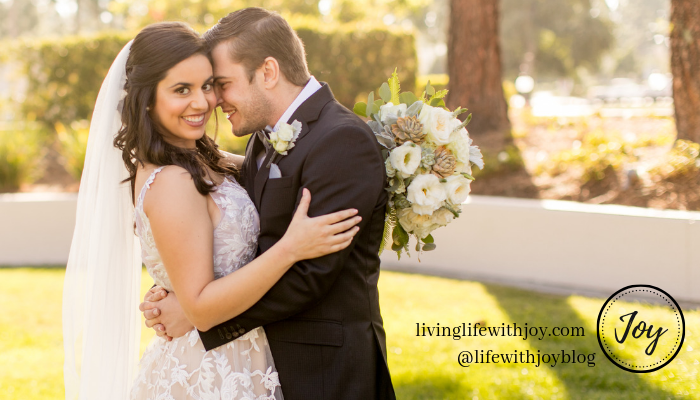 Before I get into tips and shopping links, I thought it would be fun to share a few photos from my wedding that include some of the items that I highly recommend. The photos were all taken by my AMAZING photographer Stefani Welsh Studios and my gown was custom-made by the talented Daniel Magana Couture. For those interested, I created the collage images in Canva. Click through the 5 slides below to check it out! Now we’ll get into a few tips and then on to the shopping guide! If you plan to buy personalized gift items I highly recommend they be made with each girl’s name rather than ‘maid of honor’ or ‘bridesmaid’. Once the wedding has come and gone they’ll get more long-term use out of something with their name on it. From a sanitary standpoint it makes it obvious whose glass is whose when you’re running around on the day of trying to get ready. Those glasses get placed down multiple times during the day and it’s nice to be able to easily find yours. One exception: small gifts like wine glasses and coffee mugs are fun for the bridesmaid ask or your parents. I found a really cute plastic wine glass and coffee mug for my mom that said ‘Mother of the Bride’ and she loved them! Shop early. Go wedding dress shopping as soon as you get engaged! It takes a really long time to order and alter a wedding gown [roughly 3-6 months to order depending on the vendor and about 2+ months for alterations] and the pros recommend getting your dress 9-12 months before your wedding. If you don’t give yourself enough time two things can happen; 1) You may miss out on your dream dress because it can’t be ordered and altered in time 2) You’ll pay a ton extra to have your dress order and alternations expedited. There’s tons of reasons people delay but one of the biggest is that you want to lose weight for the wedding. That was my own excuse and 1) I didn’t lose any weight and 2) even if I had, the dress gets altered to fit you once it comes in, so unless you’re looking at like a 50+ pound loss, the dress is still going to work. One exception: If you live somewhere that gets true seasons you may want to get a better idea of when you’re getting married before you start shopping. You don’t want to find that your dream dress is a perfect summery gown if you’re going to get married in the winter and it’ll be snowing. Alternative option: go my route and have your dress custom made to fit you and get exactly what you want. But again, you still need to give yourself a decent amount of time, oh and you’ll need a fabulous recommendation. If you live in Orange County I highly recommend Daniel Magana Couture, he made my gown and it was a dream come true. Floral silky robes are beautiful and useful. When you’re having hair and makeup done you don’t want to ruin the look by pulling anything over your head to change into your dress. The robes come in tons of color options for the girls and of course, they come in white for the bride. I recommend leaving these plain without names or titles but it’s a personal preference. Personalized water bottles are fantastic! The champagne flutes are fun but these water bottles are super useful and so pretty. People tend to go with the champagne flutes but forget how important it is to stay hydrated in between all that bubbly. Your girls will love getting these. They’re also a great option for the ‘bridesmaid ask’. Personalized wooden hangers are great paired with the floral robes. They make for a pretty photo-op and they’re a nice keepsake for your girls to keep. I personally got two for myself; one with my name for the photo with my robe and one that said Bride for a photo with my dress. Personalized plastic champagne flutes with the girls’ names on them are fun for day of and they’re also a cute gift idea as part of the ‘bridesmaid ask’. There’s tons of vendors on Etsy that sell them and I recommend picking a shop that has a high number of positive reviews. Looking for cute stuff for your shower or wedding? Amazon has a ton of great items that can be used for decor and small details. From wooden signs to the cake topper to the bridal veil! This is the veil I purchased and my mom hand-stitched the matching lace from my gown to the hem of the veil. Here’s a few things I personally found and loved and would recommend. White dresses are a must for bridal events such as the shower, bachelorette party, wedding rehearsal and the rehearsal dinner. I found a few great options on Amazon that worked well for me. I personally bought a plain denim jacket on Amazon and customized it with white paint from Michael’s. It’s a simple project and was so much fun! Depending on the wedding day-of hairstyle, a jeweled hair comb is a nice option to dress up the look. I found a gorgeous one on Amazon and it was way less expensive than it looked! Matching Mr. and Mrs. t-shirts. I’ll be honest, by hubby won’t wear these in public but they make for cute pajamas tops at home. All things Wifey! I found a fun keyhole-back sweater. This is a fun top for the newlywed gal! There’s a fun assortment of Mr. & Mrs. drinkware from water bottles to coffee mugs and wine glasses. These are fun for the newly-wed couple and there’s tons available to fit the couple’s vibe. A Mr. & Mrs. travel set is great gift for the honeymoon. There’s a fun set that has luggage tags and passport holders but there’s tons of separate options too. Diamond dazzle stik – This is a great item to include in a congratulations on getting engaged gift. It’s the perfect item to clean your ring in between trips to the jeweler for a deep cleaning. Engagement diamond ring pens come in a large pack of assorted colors and they come with ink refills too. Coffee mugs or wine glasses that say something along the lines of ‘Does this ring make me look engaged?’ are always a fun gift idea for the newly engaged bride-to-be. Mother of the bride and groom gifts are always sweet. I personally found cute coffee mugs and wine glasses for my mom at Home Goods in the kitchen department but there’s fun options on Amazon too. Is there anything here that you’ve purchased and loved? Is there anything missing from my list that you think should be included? I’d love to hear your thoughts below! I love that this post is inspired by your own wedding. My husband and I eloped 10 years ago and we’re renewing our vows this year so I may snag some of these ideas 🙂 Great post!